There is no sign of a march to Tshwane House in Pretoria where Executive Mayor Stevens Mokgalapa will deliver the State of the City Address. The South African Civic Organisation (Sanco) organised the march under the #TswhaneShutdown movement. Sanco said earlier that it does not need permission to stage a protest march to highlight the plight of the community. The organisation’s statement came after the Tshwane Metro Police warned members of the public not to participate in an unprotected #TshwaneShutdown protest march. The protest march is against lack of service delivery. Sanco Chairperson in Tshwane, Abram Mashishi, says marching is a constitutional right. Tshwane residents form Soshanguve, Mamelodi and Hammaskraal embarked on a #TshwaneShutdown protest march against lack of service delivery. 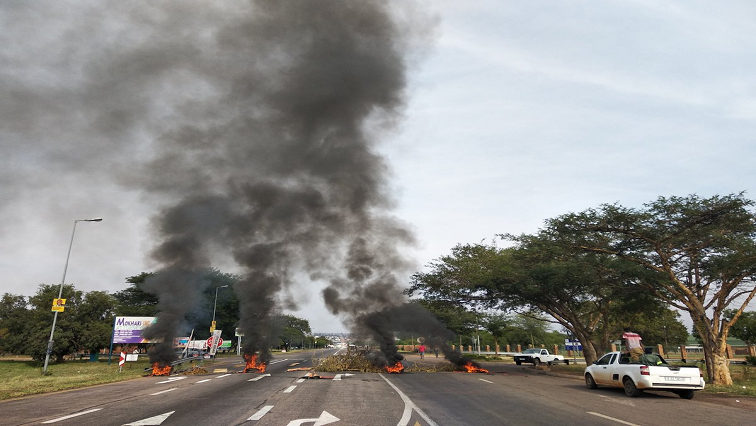 Some roads were blockaded with burning tyres and rocks, forcing motorists to manoeuvre their way around the townships to access roads leading out of the townships. Police Spokesperson, Kay Makhubela says the situation around Tshwane is calm. Mayor Mokgalapa says the DA-led council will not be deterred from delivering decent services to its citizens. Mokgalapa says they’ve inherited derelict service providers from the previous administration which sought to derail service delivery. In his first Sate of the City address Mokgalapa said the city had the responsibility to clean up its house to ensure economic growth. The city was recently embroiled in a controversial tender with Glad Africa. The R12 billion tender led to a toxic relationship between the DA administration and its coalition partners, the ANC and the EFF. The post Tshwane calm following service delivery protests appeared first on SABC News – Breaking news, special reports, world, business, sport coverage of all South African current events. Africa's news leader..